Is your company having a party or function? 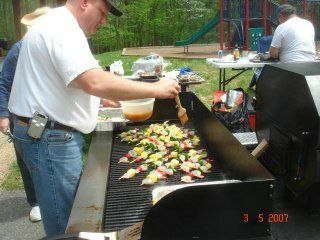 Let Just Smokin' Around Catering handle your food needs. We are a BBQ Food Trailer Concession/Vendor specializing in "on-site" grilled and smoked meat Sandwiches. 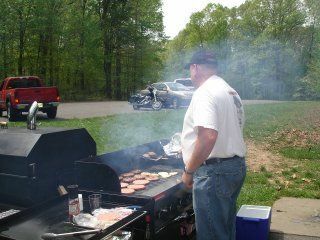 Enjoy the smell of meats grilling and smoking over charcoal and wood and then enjoy the great taste at your next event. 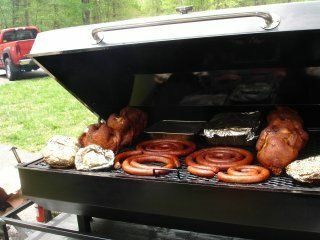 We are able to supply a buffet line with all your favorite BBQ meats. 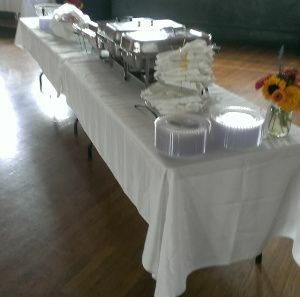 If you need more than that we have partnered with a full service catering company that can fill in the other areas. Below is our standard catering menu but our chefs can work with you to do other food items, BBQ works for breakfast also, Brisket & Eggs. to receive an e-mail of where we will be.